For a couple months now, we’ve noticed a “Coming Soon!” sign in the window of what used to be a Caribbean restaurant near our house that Mr. Spice and I liked. We were very disappointed about the restaurant closing but almost traitorously curious about what would take its place. And so when we saw that the Buckhead Barbecue Company had opened about a week ago, we decided to check it out as soon as we could. After working hellishly long hours for one of my fall tax deadlines, I had this weekend off to recuperate. The weather’s been amazing and I wanted to sit outside on a patio somewhere. That’s when I remembered that there was a huge wooden patio outside Buckhead Barbecue Company, so that made deciding where to eat lunch an easy decision. 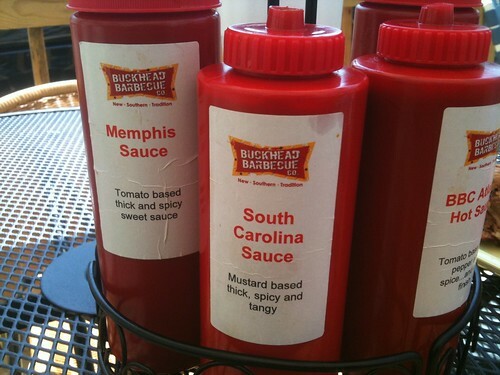 Buckhead Barbecue Company has the usual barbecue restaurant offerings such as ribs, chicken, pulled pork, brisket, and sides galore, but they also feature a selection of BBQ tacos, salads, and sandwiches. What caught my attention on the menu were the 8 different sauces, all made in-house. I love when I have choices like that! 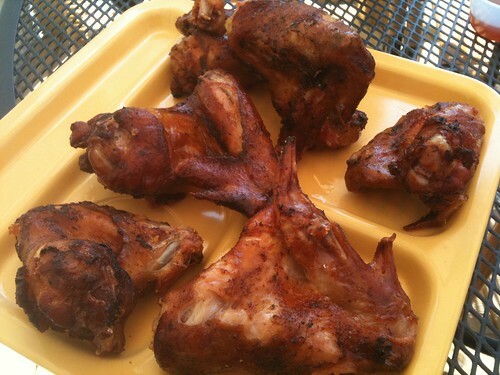 Mr. Spice and I decided to order some slow-smoked wings to start with. When we ordered the wings, we were expecting your typical buffalo wing-sized wings. Oh no, these were very generously-sized wings. Meaning each wing was the entire wing, not just the drummette or flat part of the wing. That’s a lot of wing! We were definitely pleasantly surprised and set about attacking them. The wings come in a spicy cayenne sauce, or plain. We decided to go with plain so we could try the different sauces. But first we took a bite sans sauce. 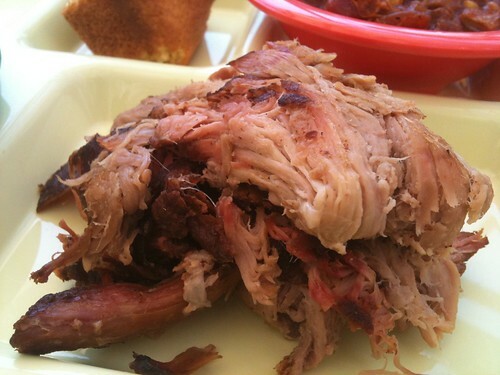 The skin was crispy and the meat was smoky inside. Now it was time to try out the sauces. 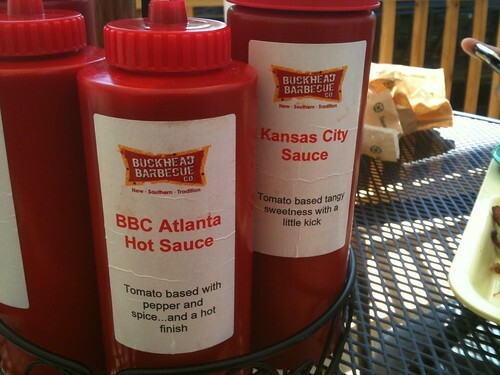 The sauce caddies came with 4 flavors: Memphis Sauce, South Carolina Sauce, BBC Atlanta Hot Sauce, and Kansas City Sauce. We also got little cups of the Alabama White Sauce, Texas Dark Molasses, and a North Carolina vinegar sauce to try. After a lot of dipping and tasting, I had a definite favorite and a runner-up. It should come as no surprise that I liked the Atlanta hot sauce the best, I do like it spicy! 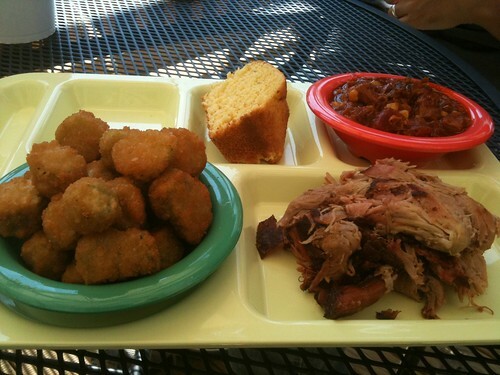 The South Carolina sauce was pretty good too — it was a spicy mustard-based sauce. 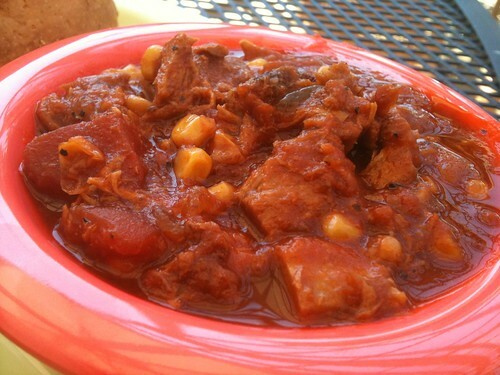 Of course, your favorites may vary and that’s what’s great about having so many choices. I could have easily made the wings my lunch, but we had to save room and move on to our actual lunches! Mine first! 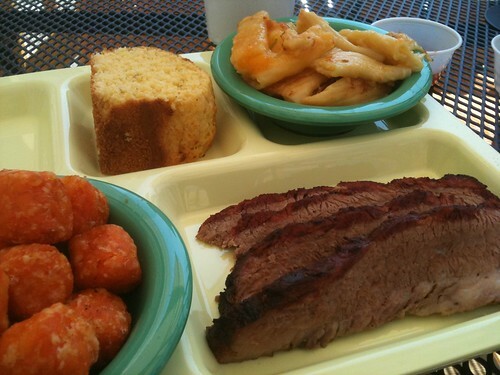 I got the small plate with sliced brisket with sweet potato tots and Mac ‘n 3 Cheese. 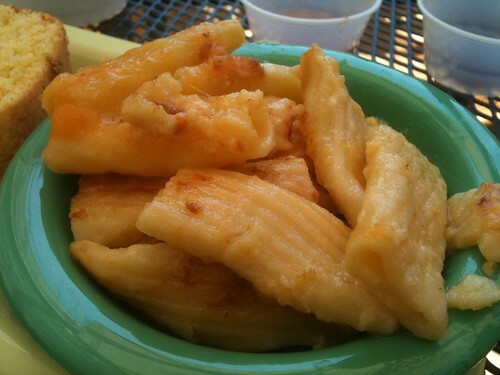 The 3 cheeses in the Mac ‘n 3 Cheese are Parmesan, Romano, and Cheddar, in case you’re curious! A nice little twist on the usual mac ‘n cheese, though I have to admit it was a little light on seasoning. 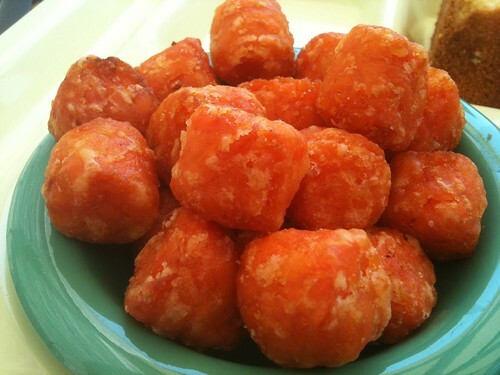 Yum, sweet potato tots! I had fun dipping these in all the sauces. 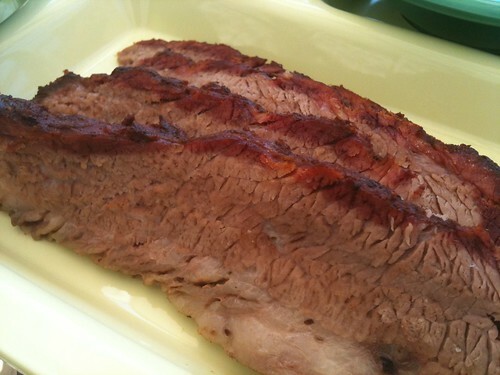 This was the perfect amount of brisket, especially after those monster wings. The Atlanta hot sauce went perfectly with it. We did notice that the meats all seemed to be on the neutral side as far as flavoring, but I think that actually makes sense, since more than likely you’re going to be trying out different sauces. Didn’t stop me from finishing my brisket! 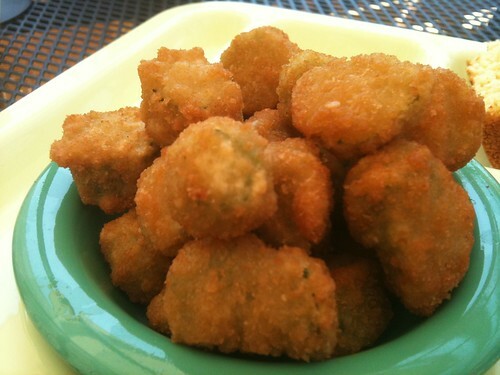 I couldn’t resist and traded one of my tots for a piece of fried okra. Crunchy on the outside, tender on the inside. 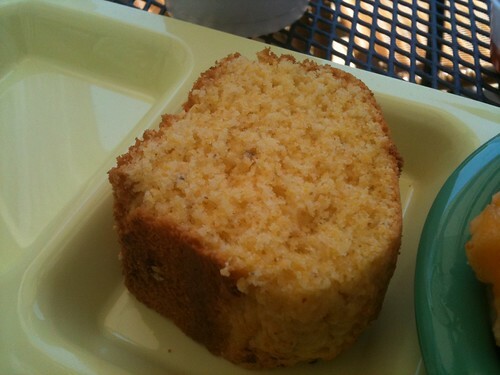 We’d stuffed ourselves at lunch, so we passed on dessert and just sat around for a bit, enjoying the nice weather. Putting the wooden patio outside was a good idea, it’s one of the things that caught our eye as we’d pass it on the way home. Like I mentioned before, it’s only been open about a week or so, but I think there’s potential. There’s more stuff on the menu that I’d like to try, so we’ll be back again. That place looks amazing! I’d be all over it – I am a sucker for bbq and sauces. some of these responses come across like coming from brain dead people? Next post: Pumpkin Chai Spice Coffee + Godiva Coffee Coupon!